KFC Smokey Mountain BBQ - The BBQ BRETHREN FORUMS. So KFC first had the Nashville Hot... then Georgia Gold... and now Smokey Mountain BBQ to round out their Flavors of the South menu. I like it the best from all three selection, with Nashville being the least favorite. What does it taste like? I am sure all of you have had it before... just imagine the BBQ dusting of any potato chip in liquid form and dunk your fried chicken in it. I tried to get some sauce to go but I was denied. Now wait...If they truly want the flavors of the South, is Alabama White Sauce next? I was not fond of the Nashville Hot either plus the worthless bastiges near me neglected to tell me they were out and it would be forever to cook some more. Last time I've set foot in a KFC. Nowaday's my fried chicken cravings are taken care of by Popeye's. I can't think of the last time that I had Popeye's, but there was a recent story about a restaurant that had fried chicken on the menu, but they would go out and purchase Popeye's chicken to serve. I must be missing something. My go to used to be Churchs Chicken but once I moved out of my apartment in Fort Worth I realized it was like I was fishing in a small dirty pond all this time Chicken Express is now the spot for me. Popeyes have the best biscuit so I’ll eat there sometimes. I only go to KFC on Mondays for their specials. I can feed two kids and myself for $8. Don't know much about fried chicken, or even fried BBQ chicken. I just came to see the pics of the adorable kids! Popeye's for me. Two reasons - one, Popeye is my favorite philosopher and a guiding light in my life ('I yam what I yam' and 'I've had all I can takes cause I can't takes no more' - classics). And two, Popeye's has Al Copeland recipes. A bit gristly but the spicy is awesome and the red beans and rice ambrosia. Didn't know KFC had hot chicken but think I'll pass. I'll get my fix at Hattie B's in Nashville. Chicken Express (aka "Chik'n E") is also my go to. Good chicken, catfish and sides. Sorry KFC but y'all lost me a long time ago. Don't have a Popeye's here in Allen but they're my 2nd favorite for fast food fried chicken. My sister lived in New Orleans for a few years and reported the chicken taste better down in New Orleans. I had to test her theory because I don't buy that type of logic. Turns out it is true, only because there is so much more demand for Popeye's down there that the chicken is more "fresh." KFC and even Church's don't have much penetration in New Orleans. 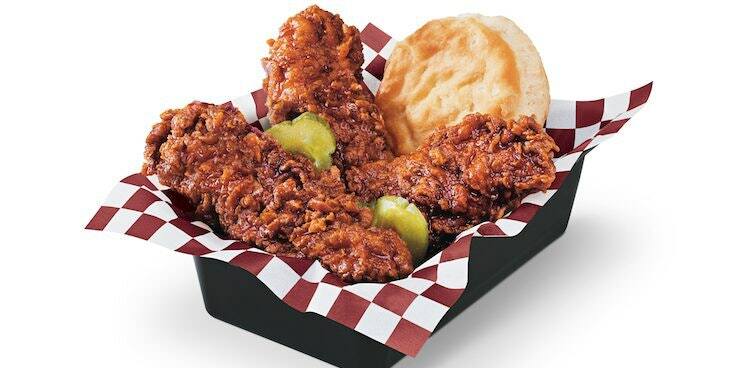 Have you tried Helen's Hot Chicken in Lewisville? I have not. Will have to check it out. The KFC nearest to us is a constant problem... A couple of times we've stopped and been informed they were out of chicken (Really, you have 1 job) and it would be 45 minutes before the next batch was ready. I wish this was an isolated instance, but it happened on three different occasions. Another evening we stopped (heard they had a new General Manager) and the sign on the door said "Open until 10:00pm-7 days a week" but this was 7:30pm and the doors were all locked and the lights were off. Haven't bothered going back since. 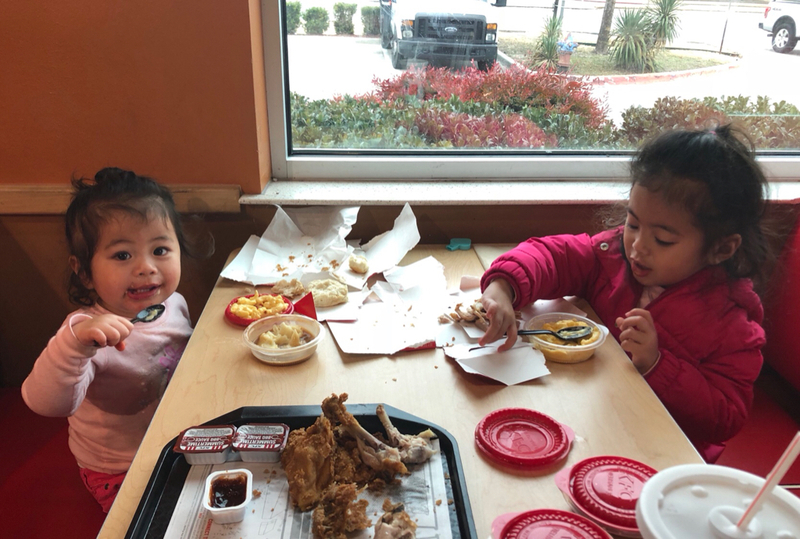 Popeyes is our preferred fried chicken, but the nearest one is about 12 miles away, so you really have to plan and want it.